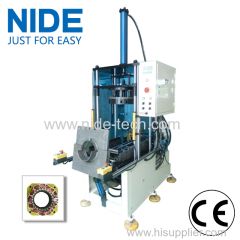 Final forming machine is used after stator doing lacing process. 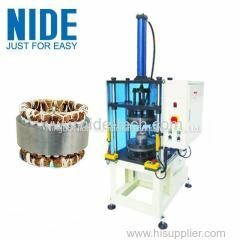 It is used to form stator coils. 1.High technology and stable performance. 4. 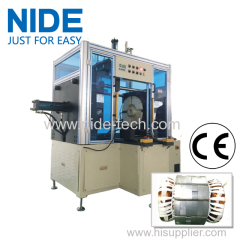 Forming the stator coil winding automaticlly. 1. 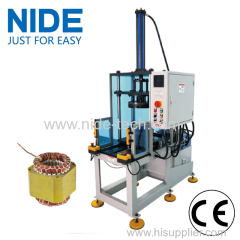 Highly efficiency and qualified forming. 2. 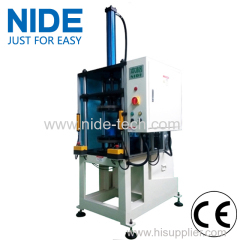 Equipped with and driven by the hydraulic system. 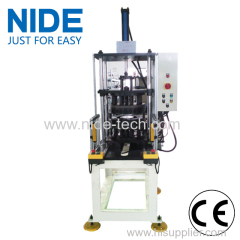 1.Consist of machine framework, oil hydraulic power system, control system, and forming tooling system. 2. 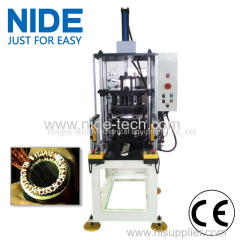 Tooling design adopts flexible principles of inner expansion,outer wrapping and edge forming to form the stator. 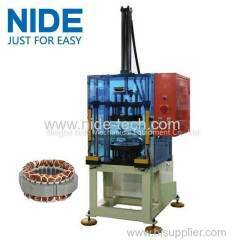 This stator forming machine is used to form stator coil shape. 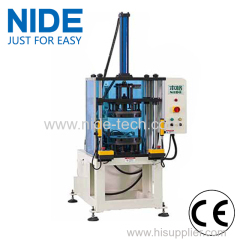 It is controlled by hydraulic system. 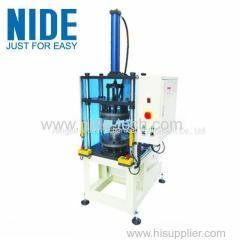 The machine is easy to operate. 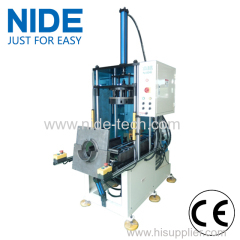 This coil forming machine is suitable for air conditioner motor,pump motor, fan motor, generator motor ,washing machine motor and compression motor. 1. 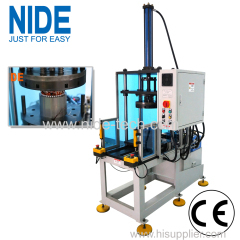 Easy operation and simple tooling change. 3. 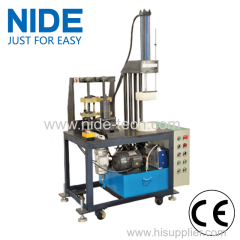 Driven by hydraulic system. 4. 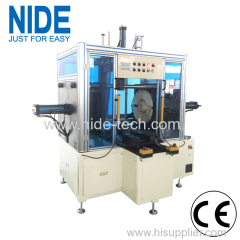 Machine productivity: around 1500pcs/8hours. 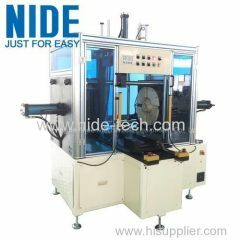 Group of Final forming machine has been presented above, want more	Final forming machine and stator forming machine, Please Contact Us.